“Set too high, or at 140ºF, your water heater can waste anywhere from $36 to $61 annually in standby heat losses and more than $400 in demand losses,” advises the Department of Energy. Add insulation. If you’re worried about the heat being lost, ask us about installing a water heater jacket or blanket. This probably isn’t the ideal do-it-yourself (DIY) project, as you have to be careful about what the insulation covers. Upgrade to an energy-efficient model. 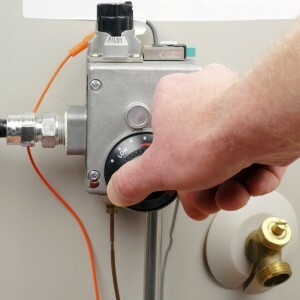 Is your water heater more than 10 years old? Today’s water heaters are more efficient than ever. Contact Service Plus Heating, Cooling & Plumbing for tips on the “greenest” water heaters on the market. To get in touch with one of our expert plumbing technicians, dial (317) 434-2627 today. We service the entire Indianapolis area, including Carmel, Noblesville and Fishers, IN. Don’t forget to visit Service Plus Heating, Cooling & Plumbing on Facebook, Twitter and Google+ for more tips!